The nominations are now open for AMA AWARDS 2016. This year we have combined the two awards program that we have been running since 2013, namely the Victorian African Community Awards and the National African-Australian Person of the Year Awards. We have put these two programs together and rebranded the program which is now called AFROSHINE AUSTRALIA awards. The program is open to all Africans from around Australia and their friends and supporters. Please take 5 minutes to nominate any deserving person you know who has been doing some good work in the community or who is successful in some area, including non-African person who are working with Africans and adding some value into the lives of African communities around the country. 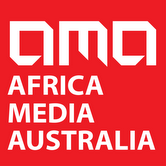 For any inquiry, please contact us at info@africamediaaustralia.awards.